Neil Gaiman’s story of Shadow, Wednesday, and the gods comes to its epic conclusion in American Gods: The Moment of the Storm. American Gods: The Moment of the Storm is the third and final installment in Dark Horse’s American Gods saga, preceded by American Gods: My Ainsel andAmerican Gods: Shadows. The new and old gods agree to meet in the center of America to exchange the body of the old god’s fallen leader—heading towards an inevitable and potentially catastrophic war in this final arc to the bestselling comic series! American Gods, the Hugo, Bram Stoker, Locus, World Fantasy, and Nebula award–winning novel by #1 New York Times bestselling writer Neil Gaiman (Sandman, Neverwhere, Coraline, The Graveyard Book) has been adapted into a comic series by the incredibly talented writer and artist P. Craig Russell (The Graveyard Book, The Giver), with art and colors by award-winning artist Scott Hampton (Hellboy, Batman). American Gods: The Moment of the Stormfeatures cover art by Glenn Fabry (Creepy Comics, Aliens Vs. Predator: Eternal) and Adam Brown (The Justice League, Aliens), with variant covers for each title by David Mack (Fight Club 2, Jessica Jones, Daredevil). 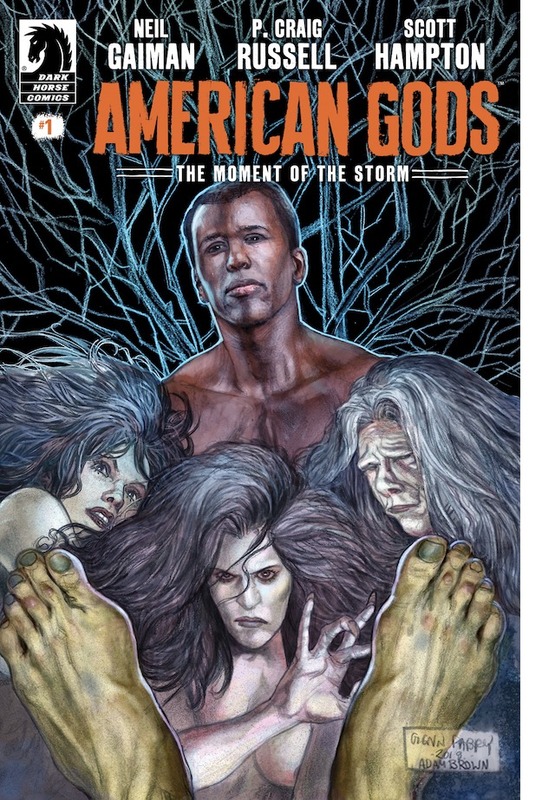 American Gods: The Moment of the Storm #1 arrives April 17, 2019, and is available for pre-order at your local comic shop.